Few 16 bit era RPGs have a story so epic and a villain so incredibly wicked that you will actually be on the edge of your seat during much of the 50 plus hours of gameplay! Final Fantasy III is one such game! 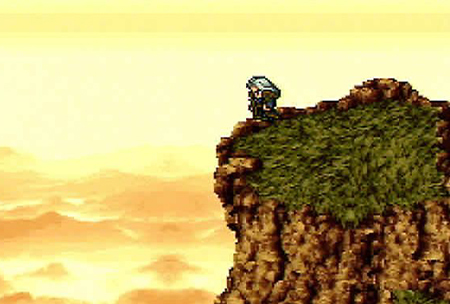 The story of Final Fantasy III is about a conflict between the Empire a military power using an ancient technology known as magitek to conquer the world, and a group known as The Returners a group of freedom fighters who want to protect the people from the malicious actions of the Empire! Gameplay wise Final Fantasy III plays closer to Final Fantasy VII than a traditional 2D Final Fantasy! First of all the game has your standard turn based battles but changes things up with the addition of techniques which range from stealing items from an enemy to absorbing damage from magic and turning it into MP! Another new feature is the magicite system which works similarly to Final Fantasy VII's materia system in which you equip magicite to a character and they will slowly learn the spells it teaches as well as summoning an esper which is only able to be done once per battle. Okay so I've covered some of the new features now let's talk about the game itself! The game has a story that is going to make you want to keep playing to find out what's going to happen next, and though it can be predictable at times, there will be others where you will be shocked by what has happened! There are even a few dungeons that requires you to form more than one party to conquer and usually requires the parties to press switches to open up paths for each other which can sometimes prove to be a satisfying challenge! The game has so many sidequests that you literally need to read a strategy guide to find them all, and completing them usually earns you rare items and equipment and in a few cases magicite! One thing worth mentioning is that some of the treasure chests in the first quarter of the game will change into better, and in a few cases one of a kind items after a certain event as long as you didn't open them! Finally we have the characters of the game which you'll find add a very emotional tone to the game as each has their own hardships and losses they're dealing with and unlike most early RPGs the game has been properly translated into english! The graphics are greatly improved over the previous entries in the series as the details in both the character and object models as well as the backgrounds look like something you'd see in a playstation one game! The special effects are good, but aren't as good as those seen in later SNES RPG's such as chrono Trigger but are still pleasant to the eyes! The music in Final Fantasy III was some of the best in the series at the time the game was released, and is still one heck of a soundtrack! 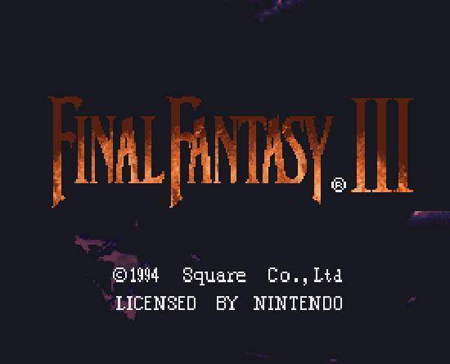 Other then that the sound in Final Fantasy III is standard 90's RPG fare nothing really notable. With an epic heartfelt story, great gameplay, terrific graphics, and a wonderful soundtrack Final Fantasy III is likely the most epic RPG currently on the Wii virtual console and is well worth its 800 point price! When will the pics be uploaded? A very informative review Rukiafan, as usual. This has really persuaded me to purchase this sometime in the future. Don't shoot me, but I've never actually experienced a Final Fantasy title before. Except for A1 Tatics on the DS, but that's not really considered a standard entry in the series. Sorry ! I thought this review was old ! But good review nonetheless ! I've already purchased this, but would you guys recommend any other RPG available on VC before it? The only other VC RPG I own is Y's Book 1&2. Would anyone say that Chrono Trigger deserves a download before Final Fantasy lll does? Thank you Marioman18, well then let me be a little more specific. Which title has more sidequests and more diversity in the environments? Is this better then that awful Final Fantasy game on the nes? @Sakura chan wrote: Is this better then that awful Final Fantasy game on the nes? Far better I know what you mean I played the original Final Fantasy on the origins collection and it was very fun,but then I tried this version and thought this is really the same game.....? lol. Final Fantasy VII owes alot to the features in this entry but will always be the no. 1 game in the series! This game is certainly no push-over either. Great review admin. This is a superb game until a certain plot twist about halfway through the game. Is this game better than Final Fantasy II? 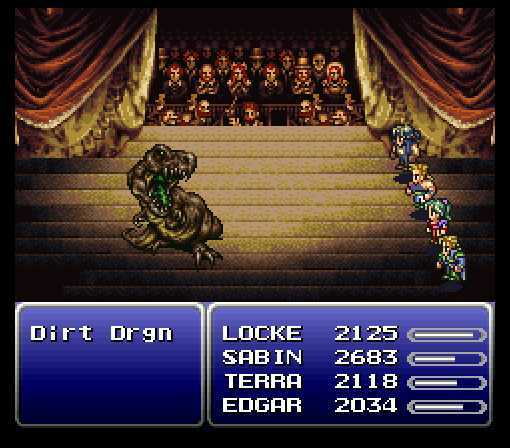 I finished Final Fantasy II about a month ago and started playing this game a couple weeks later. I loved FFII, but this game is better. Far more 'deep' and 'rich' in story and scenery. Also, I hear that the play time is about double that of FFII. I'm glad to hear your enjoying it Ragnar, you should check out Chrono Trigger and Phantasy Star IV after your done with Final Fantasy III. They're both also available on VC too. You're correct this is a very good game. This is the best game in the series I hope many younger gamers will finally get to play this epic RPG. Today, I finally downloaded Final Fantasy III from the Wii Shop Channel just to have some familiarities whenever I decide to get Theatrhythm Final Fantasy. I play the first hour and the battle system was a little scary at first due to enemies attack while selecting the right attack myself. I'm enjoying it so far and the music is terrific.